Please select option for T Shirt - Light Pink - Davidson. Please select option for Unisex Long Sleeve Tee - Liam Stripe. 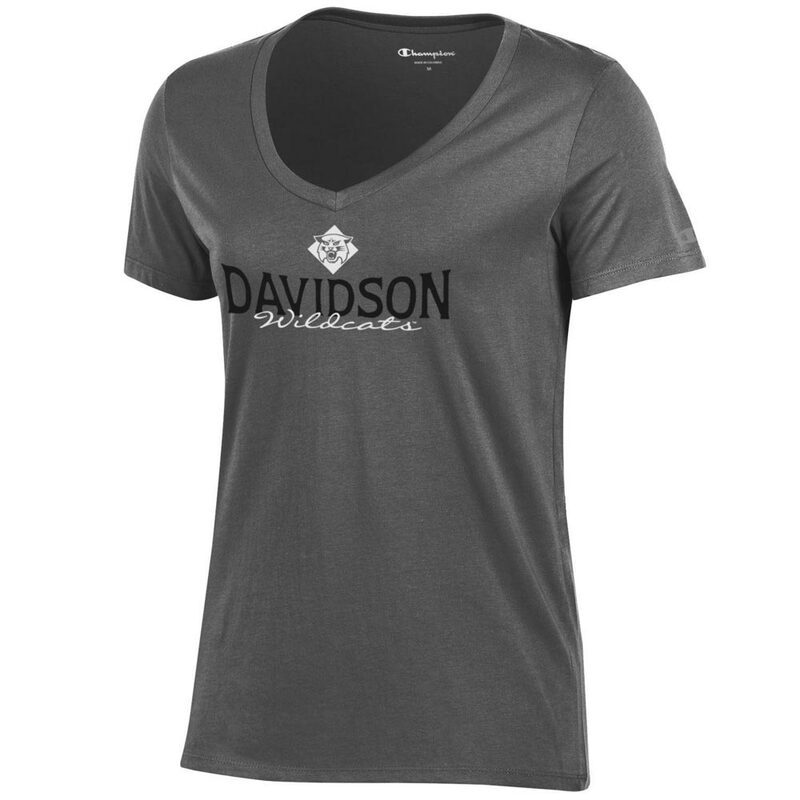 Please select option for Women's Black T Shirt-Davidson Arched. 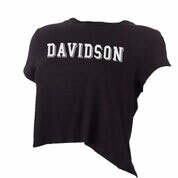 Please select option for Women's Crop Tee - Black - Davidson. Please select option for Women's Crop Tee - White - Davidson. 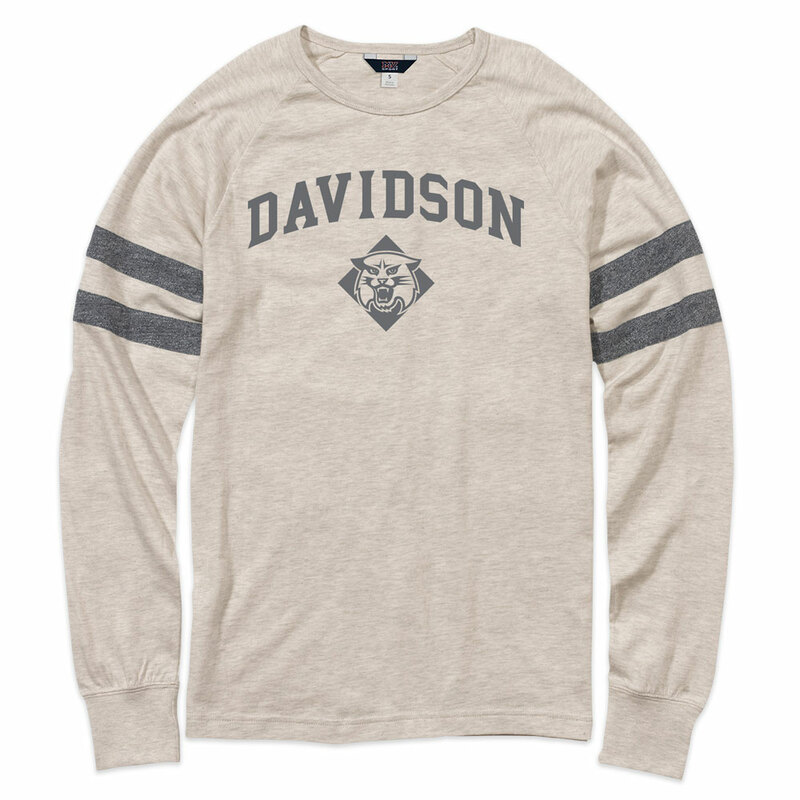 Please select option for Women's Falls Heather Tee-Davidson Over College Seal. 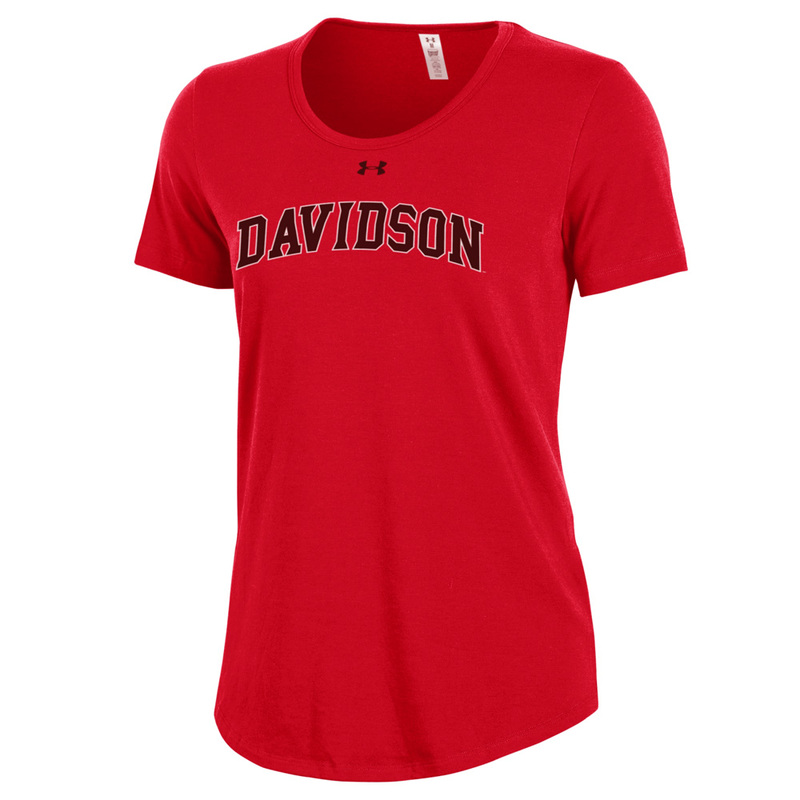 Please select option for Women's Freshy Red Tee-Davidson. 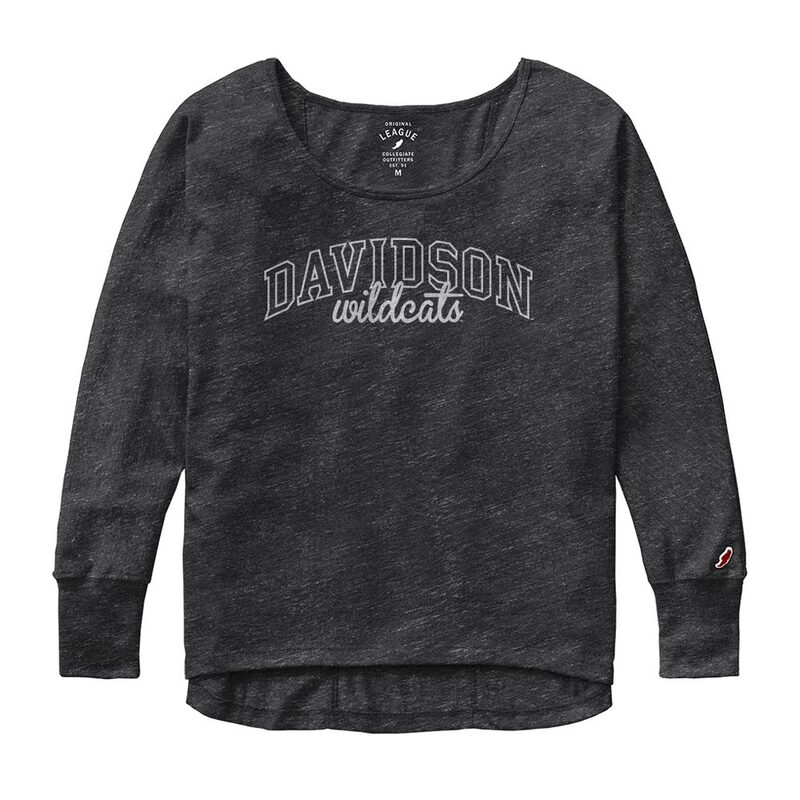 Please select option for Women's Freshy White Tee-Davidson. Please select option for Women's Granite Heather University V Neck Tee. Please select option for Women's Long Sleeve T Shirt Black University V Neck. 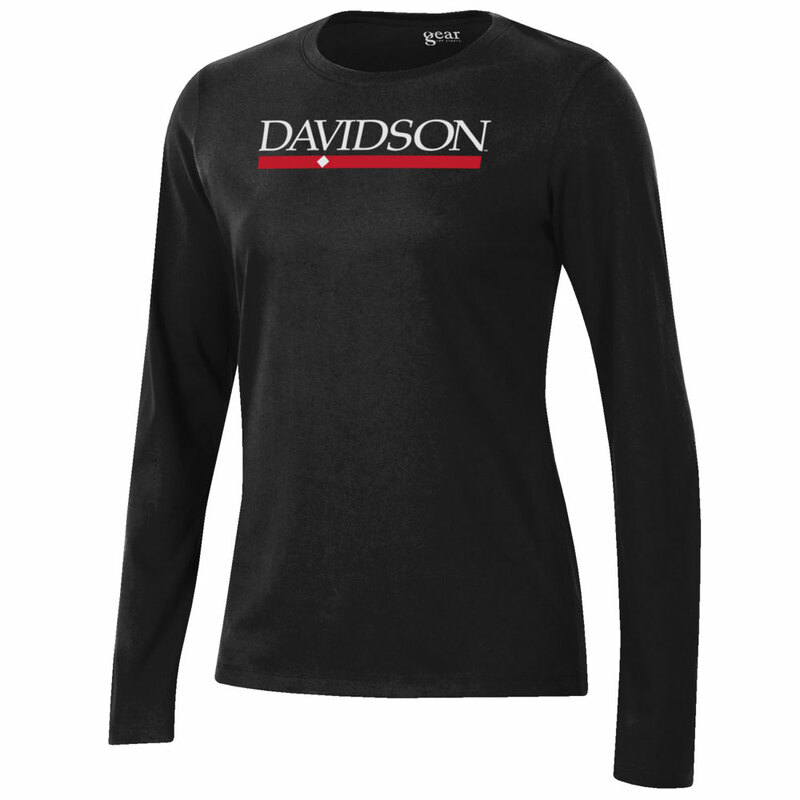 Please select option for Women's Long Sleeve Tee - Black - Davidson. 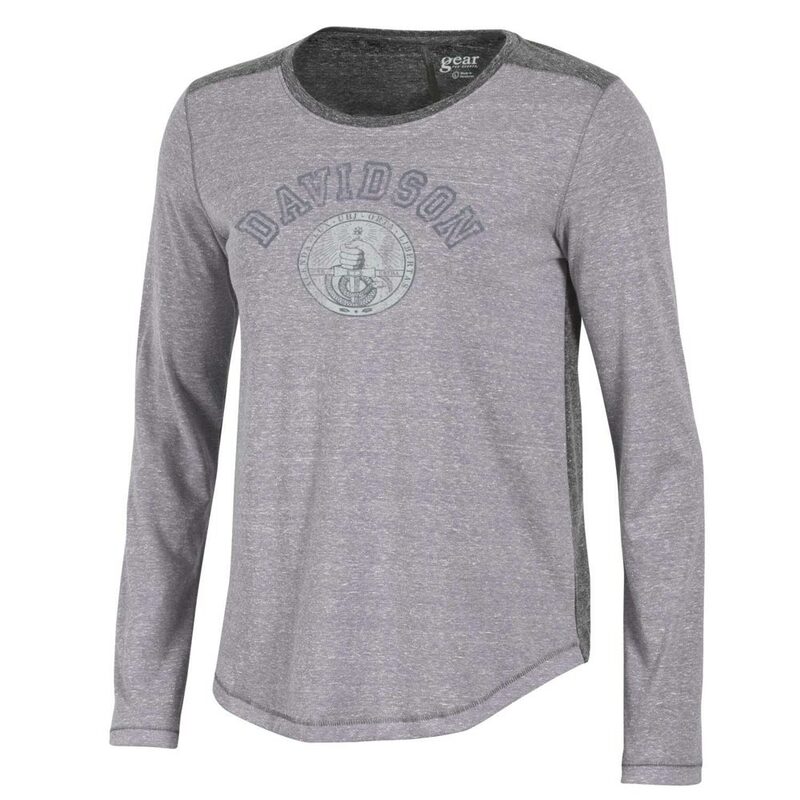 Please select option for Women's Long Sleeve Townie Tee - Gunsmoke - Davidson - Seal. 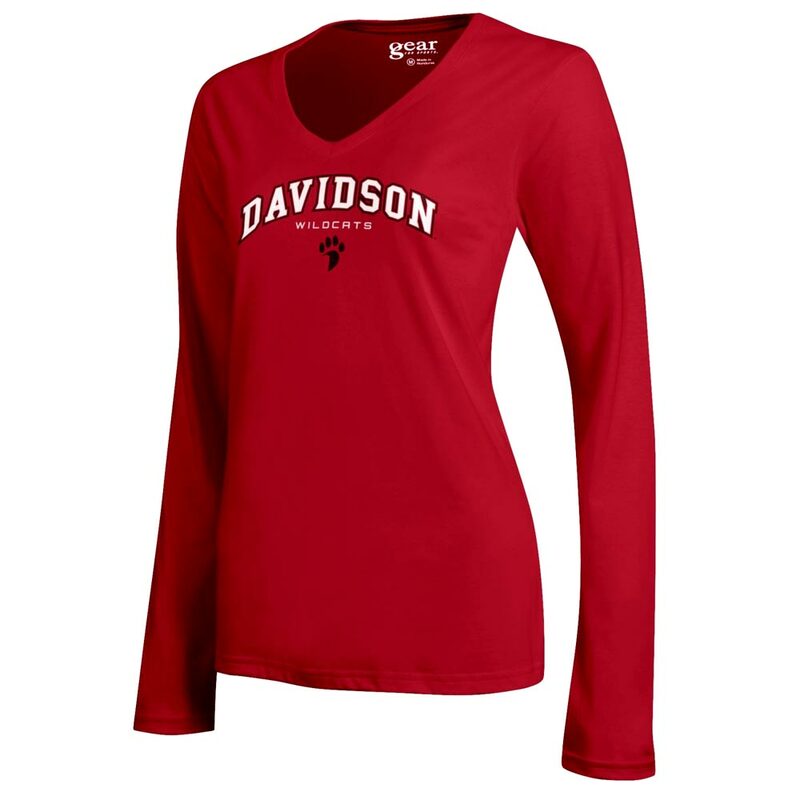 Please select option for Women's Long Sleeve V Neck Mia Tee - Red- Davidson Over Paw. 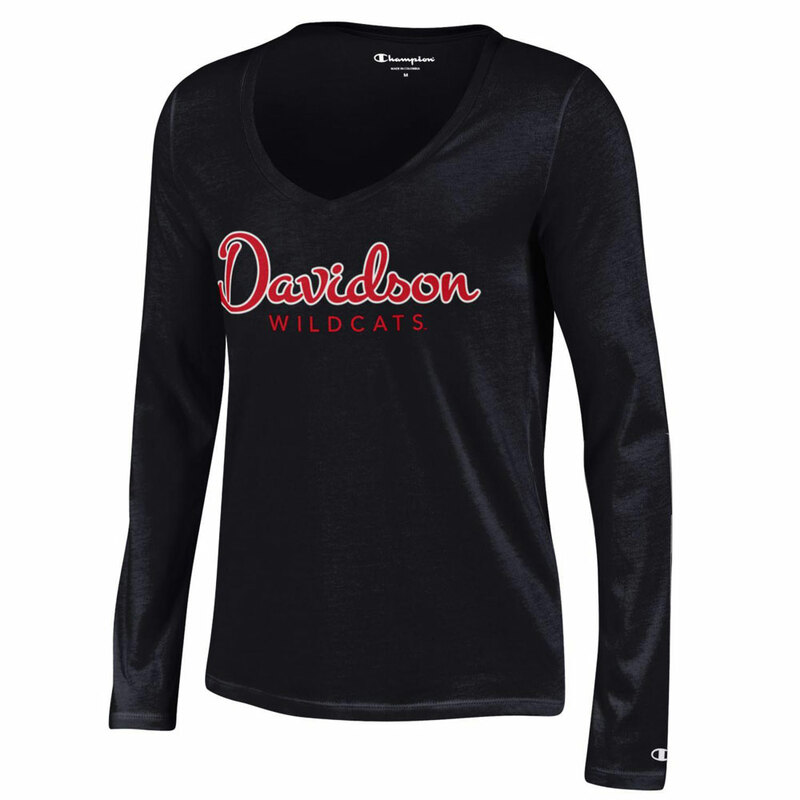 Please select option for Women's Oversized Black Tee-Davidson Arched Over Wildcats. Please select option for Women's Oversized Red Tee-Davidson Arched Over Wildcats. Please select option for Women's Racer Back Tank - Black - Wildcat. 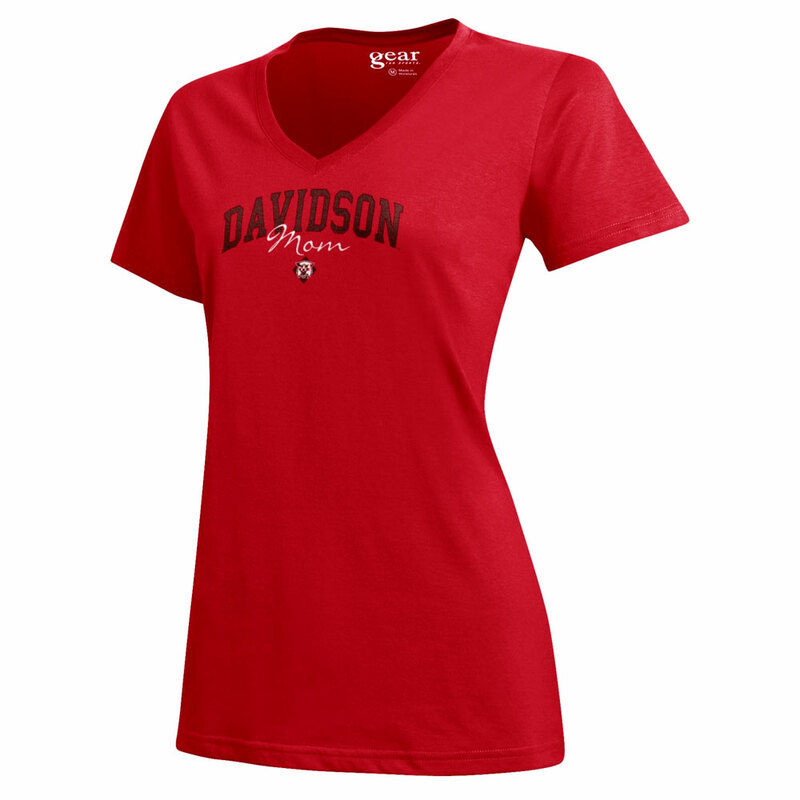 Please select option for Women's Red T Shirt-Davidson Arched. Please select option for Women's Red V Neck Mom Tee. Please select option for Women's Relaxed Long Sleeve Tee - Black - Bar Diamond. Please select option for Women's Relaxed T Shirt - Black - Bar Diamond.